The Green Party is putting the issue of clean air around schools centre of its final local election push in England. The party would close streets to traffic during primary school drop-offs and pick-ups and create "safe routes" to encourage scooting and cycling. 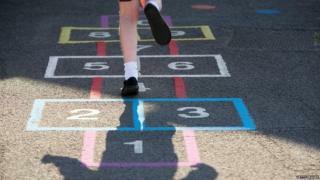 Pollution in cities, especially in London, mean children are playing in "poisoned playgrounds", it is warning. The Greens are defending 31 seats on Thursday, including in Norwich, Oxford, Solihull and Sheffield. It hopes to make gains in the South Yorkshire city, where the Labour council has come under fire for felling thousands of trees in public areas, and other areas such as Knowsley and Burnley. How can you tell who's won the local elections? The party, which overall has about 165 councillors in England and Wales, has a long-term aim of securing representation on every council, although it faces a strong challenge from Labour to retain existing seats. What elections are there on Thursday? Voters go to the polls across England on 3 May for local elections with seats on about 150 unitary authorities, metropolitan and district councils up for grabs. In some councils, all the seats are being contested while, in others, a third of councillors are up for re-election. The majority of the seats being fought for were last elected in 2014. Councils are responsible for a range of local services, including schools, parking, leisure facilities and recycling - which they fund through different sources, including council tax and government grants. For a party to run a local authority, it needs to have a majority of councillors on it. Plenty of councils, including 23 councils being contested this time around, are under no overall control. There are no local elections this year in Scotland, Wales or Northern Ireland. The Green Party is contesting 2,200 seats in England this time around and fielding its largest ever slate of candidates in London, where it is targeting gains in Lambeth, Islington, Hackney, Camden and Richmond. In the capital, the party is committed to stepping up the fight against air pollution by vowing to ban traffic from outside primary schools at opening and closing times. 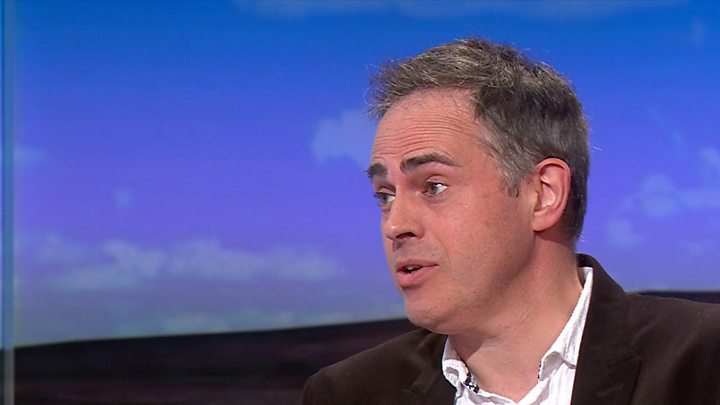 Promoting the initiative in Camden, where it is defending one seat, the party's co-leader Jonathan Bartley said their "common sense" idea was a "win-win" for children's health. He suggested some parents felt compelled to drive their kids to school because of concerns about pollution and whether it was safe to walk and cycle. This meant that young children and teenagers were not getting the level of physical exercise they needed. "Anywhere this has been implemented has seen fewer cars on the road and more children walking and cycling safely to school," Mr Bartley said. "Not only does this help children get the exercise they need, which is better for a child's heart but they will also be breathing in less pollution, which is better for a child's lungs." The Greens want total government spending per person on walking and cycling to be quadrupled as well as the right to clean air to be enshrined in law. There are no elections this time in two of the party's strongest urban areas, Brighton and Bristol.